You will LOVE the Wonder Wallet pattern. 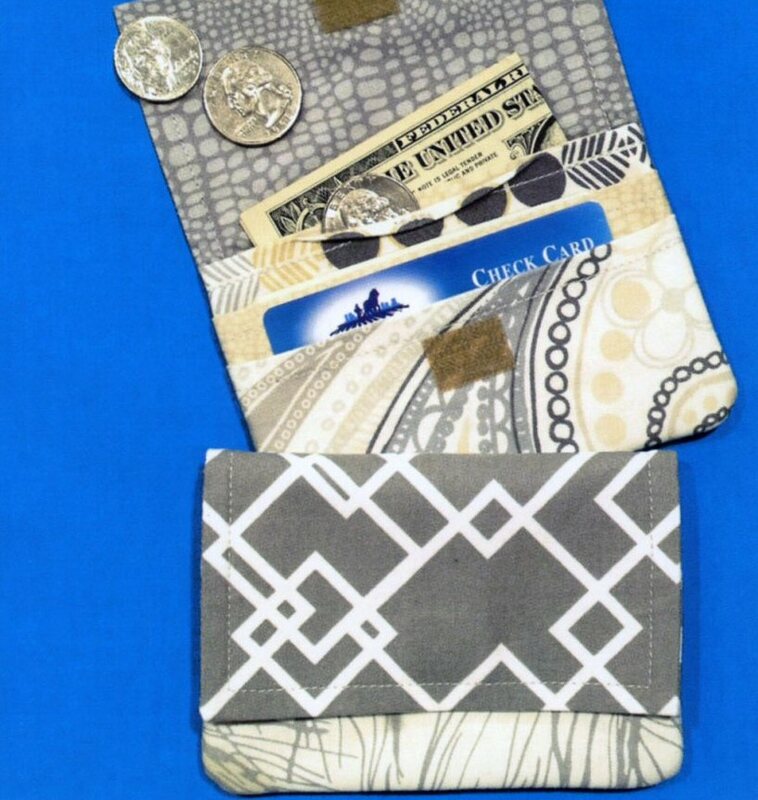 It's amazing how much this fabric wallet can hold. 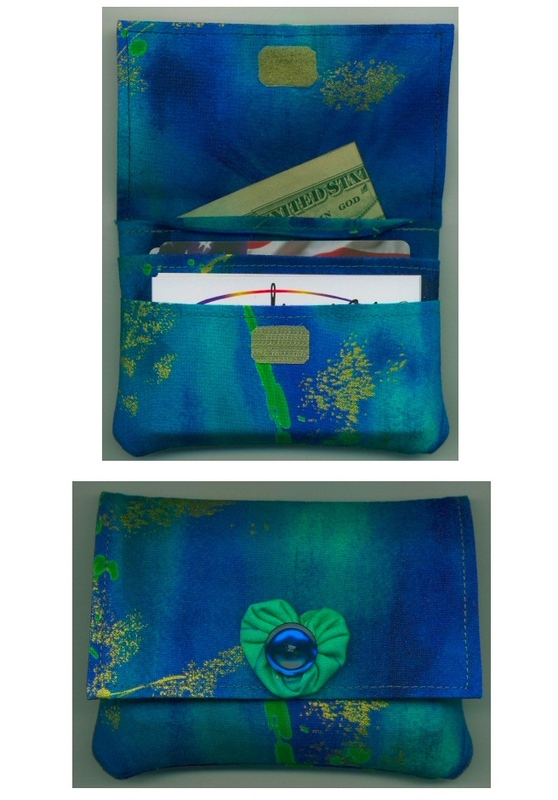 It's loaded with pockets for all of your cards, coins and cash. Dollar bills folded in half fit comfortably. 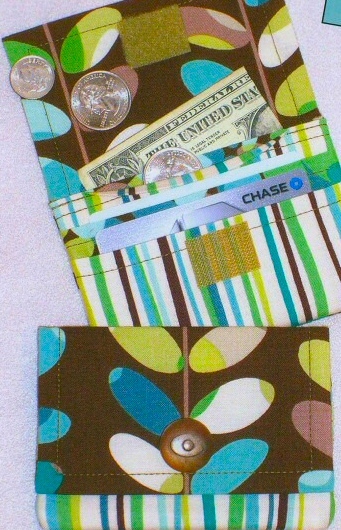 Use your Wonder Wallet when you don't want to carry everything with you...or tuck her into a larger purse. 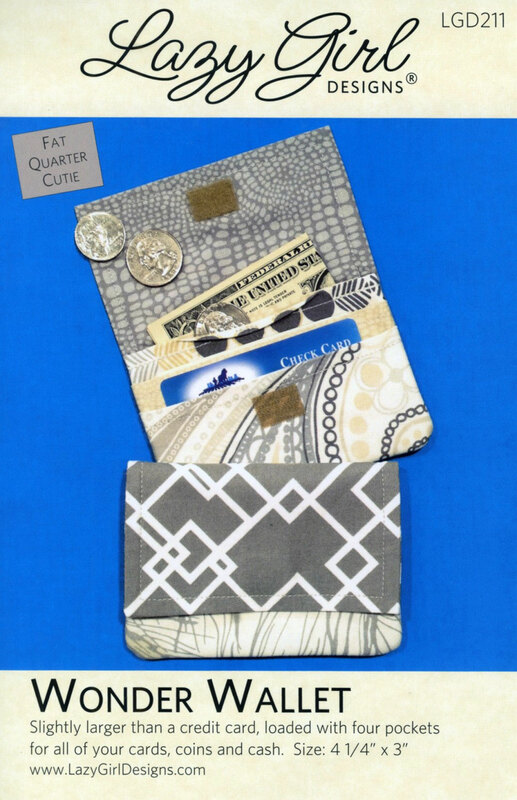 This wallet is the most fun and useful project. Love it, fit's in my jean's pocket so I don't have to carry a big purse or wallet. Have made may of them for friends and family. Easy to make too. I was very please with the pattern. I did modified it a bit because I wanted only two pockets, but the instructions were very easy to understand. This is a nice pattern for any level sewer in my opinion. Went together quickly and turned out cute!